If you are looking for skilled family law representation in Hawaii, contact Blake T. Okimoto, Attorney at Law. Based in Honolulu, our firm has been serving clients across the island of Oahu for 40 years. 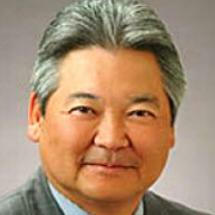 Mr. Okimoto is considered to be one of Hawaii's premier family law attorneys. As an active member of the Hawaii State Bar Association, Mr. Okimoto has served in important leadership roles within the organization throughout his career. In addition to extensive trial and appellate experience, Blake T. Okimoto is also a frequent speaker at many continuing education programs for attorneys on topics related to family law and ethics. For these reasons and many more, Mr. Okimoto has been named to the prestigious Super Lawyers list. Clients are at the heart of our firm's full-service family law practice. We emphasize long-term solutions and seek amicable negotiation whenever possible. This often leads to better outcomes while reducing costs and limiting unnecessary stress. But we are also prepared to fight for our clients in court, if and when such an approach proves necessary. When you hire Blake T. Okimoto, Attorney at Law, you will benefit from the knowledge and skill of a Hawaii lawyer with four decades of family law experience. No matter what family law issue you may be facing, we are here to help.